“The clearest historical parallel that led to such an extended period of uncertainty is the Great Depression, which started with the stock market crash of 1929 and generated continued uncertainty until 1932,” said the authors, a group of credible international economists funded by British research money, writing in the Harvard Business Review. 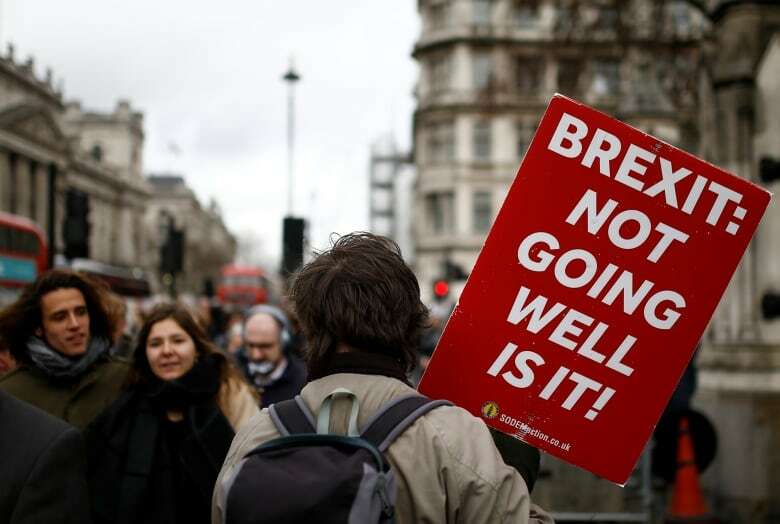 The article, Brexit Is Already Affecting UK Business — Here’s How, says that not only did the unexpected vote to leave shock the economy, long-term uncertainty as to what’s next has meant less investment and reduced employment. Reading a paper whose front page headline screams Free Puppies For Everyone, the daughter celebrates the many available jobs now that the foreigners are gone. The cupboard is full of British food, and in the new paradise, the family is allowed to have “bendy” bananas because European restrictions have been lifted. 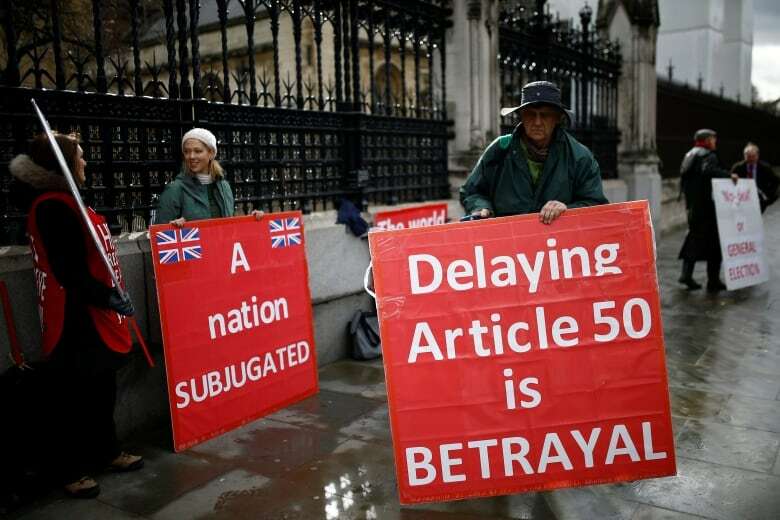 Quite wonderfully the skit, which to all appearances says only good things about Britain’s Brexit future, has been attacked from both sides of the debate. Humourless Remainers criticize it as insensitive while humourless Leavers complain it trivializes important issues. The tradition of humour that viciously attacks Britain’s greatest institutions from the Royal Family to the BBC is one of the things that, despite glaring inequality and miserable weather, gives the country a feeling of careening freedom so obviously different from Putin’s Russia or Xi’s China. Some of the country’s biggest butts of British humour are the politicians and the political system that even a serious political journalist in the Financial Times compared last week to a giant Monty Python skit. A dip into one of BBC Radio’s jolly game shows such as The News Quiz will usually offer equal-opportunity ridicule of British politicians on a Brexit theme. “I think Brexit has been very positive for the metaphor industry,” quipped Calman, pointing out that a comment by Prime Minister Theresa May about scraping mould off old jam in her fridge was being used by the Washington Post as a metaphor for the entire Brexit process. “It’s a scandal there aren’t more funny Brexit-supporting comedians to come on this show,” responded another contestant. But an online sample of pro-Brexit comedians reveal that like many strong political devotees, they take things pretty seriously. Jokes about terrorists and Muslims seem especially humourless after last week’s killings in New Zealand. Hoggart’s funny video, which, like the Financial Times article mentioned above employed the Monty Python stomping foot, was more than just a joke. By satirizing the politicians, their confusion and their quest for more power at any cost, Hoggart told a complex political tale in a palatable form. 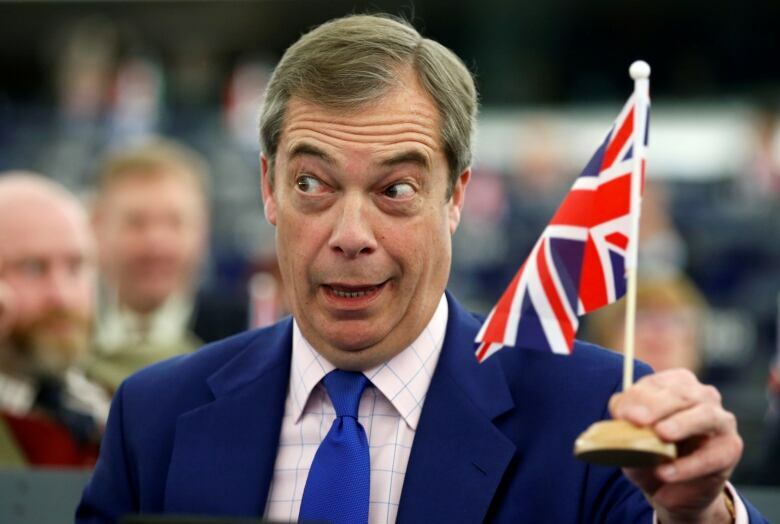 With a signature introductory “No, no, no, let me speak,” impressionist comedian Jon Culshaw from the radio show Dead Ringers plays the role of United Kingdom Independence Party chief Nigel Farage, complaining about Tory government mismanagement of Brexit. “You took something that was good and pure where a plucky band of idealists defeated the political elite with nothing but hope in their hearts and oodles of cash from a few shadowy billionaires,” says the faux Farage, making light of an accusation reported in serious news elsewhere that the campaign was partially funded by cash from Russians bent on making Britain not a strong economy for the people but a tax oasis. But to about half of British people who remain honestly convinced that the country will be better off outside the EU, that just isn’t funny.